Home » Wills and Estates » Think a Trust Isn’t for You? This Might Surprise You! If you’re like many people, when you hear the word “trust” in the context of estate planning, you probably think about outrageously wealthy families or “trust fund babies” who will never have to work. 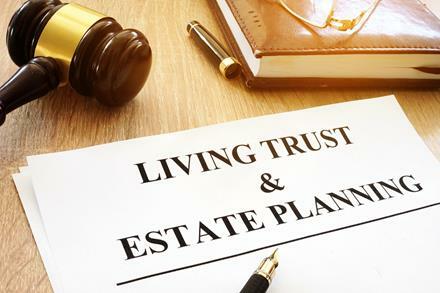 While it’s true that these types often have trusts, it’s also true that even people of average means can utilize a trust to meet their estate planning goals. A trust is a simply a set of legal relationships. The grantor is the person who creates the trust by handing over legal title of his or her assets to a trustee, who holds them for the benefit of the trust beneficiaries, who are said to have equitable title. Without getting into the specifics of legal vs. equitable title, the idea is that the trustee actually controls the assets for the benefit of the beneficiaries. One of the most common ways that people use trusts for estate planning is by creating a living trust. A living trust (also sometimes referred to as an inter vivos trust) is simply a trust that a person creates while he or she is alive. Importantly, it’s possible to be both the grantor and the trustee of a living trust, which means that the grantor can still enjoy the use of his or her property during his or her life while holding it for the benefit of the trust’s beneficiaries. One of the main benefits of creating a living trust is that it allows you to pass assets to beneficiaries without probate, the court-supervised process of transferring assets from a decedent to his or her distributees. If you use a will to dispose of your assets (or if you have no will), everything will go through probate, which can be costly, time-consuming, and has the potential to result in familial disputes. If your assets are in a trust, however, they will pass directly to the beneficiaries when you pass away without any court intervention. With the proliferation of do-it-yourself legal services online, many people who are thinking about estate planning consider using an online service to create a trust, will, or other estate planning document. With so much on the line, it’s highly advisable to consult with a lawyer before engaging in any type of estate planning that could affect you and your family’s future. In the worst-case scenario, estate planning documents created online could be completely invalid, leaving the future of your estate dependent on the laws of intestate succession in your state. If you have any assets that you would like to pass on to future generations, you should speak to an experienced estate planning lawyer as soon as you can. Kenneth P. Carp has been practicing law for more than 25 years and will discuss your estate planning goals at no cost to you. To schedule your free consultation with Mr. Carp, call our office today at (636) 947-3600 or send us an email through our online contact form.